Maybe you missed the OC Fair. Maybe you’ve just got a thing for giant turkey legs. Either way, here’s another shot at living out your carnival fantasies (are those a thing?). The Pomona Fairplex becomes a fun house, complete with all the fair tropes you’d expect (stomach-churning rides, food on sticks), plus some you wouldn’t (ice skating, animatronic dinosaurs). This weekend, catch performances from Fifth Harmony (September 15) and Gerardo Ortiz (September 17). You say festivals; Anaheim says Fest of Ales. More than 40 craft breweries, including local all-stars like Phantom Ales and Unsung Brewing, descend on Center Street Promenade for a four-hour drink-athon. (There will be food, live music, and games, too.) Pace yourself: Beer tastings are unlimited. 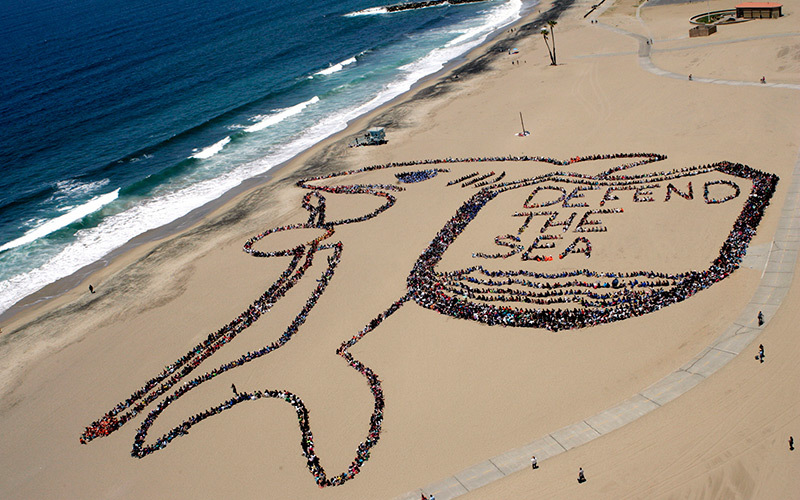 Talking trash is inevitable at this annual Heal the Bay event. Register online before dropping in at one of 50 different cleanup sites along the coast, where captains have buckets, gloves, etcetera on hand. If you’re really determined to save the ocean (and you’re dive certified), consider signing up for a scuba scrub. Fifty museums are welcoming any and all culture vultures into their galleries on September 17 to experience PST: LA/LA (you know, that totally bonkers, state-wide initiative led by the Getty celebrating art from Latin America and Los Angeles). Bigger institutions like the Hammer, LACMA, MOCA, ICA LA, and, duh, the Getty join smaller hubs like the MAK Center, Self Help Graphics and the Mistake Room to mark the beginning of their respective months-long shows and exhibitions. Keynote speakers and cooking demos are only part of the lineup at this plant-based eater’s paradise. Vendors like Divine Dips Vegan Ice Crème and Southern Fried Vegan are also serving up eats. 5 Can’t-Miss Events from Pacific Standard Time: LA/LA, the Art Extravaganza Taking Over L.A.